You are getting sleepy, very sleepy. A third consequence of spiritual failure is disinheritance in the kingdom of heaven. Jesus said in Matthew 8:12 that the sons of the kingdom were cast in outer darkness at the start of the kingdom banquet. That is, they were not admitted to the banquet to enjoy this thousand-year party called the kingdom. They’re still saved people, but they are the ones who whose works are burned up at the judgment seat of Christ and so they have nothing to present to Him from their time on earth. Their judgment is to be put outside, not of heaven but of the kingdom banquet. This sounds like the soothsaying of the false prophets in Jerusalem who were saying the people need not fear the judgment of God. They told the people they are secure and God would not judge them as Jeremiah had said, for they shall dwell in the safety of peace. We today have those who say the same thing to us today. Do not fear God’s judgment for we are saved. Weeping and gnashing of teeth is only a regret for not being invited to the party, but hey you are still saved! We dwell in peace and safety because we acknowledge our God and call him Lord and savior. Not everyone who says to me, ‘Lord, Lord,’ will enter the kingdom of heaven, but only he who does the will of my Father who is in heaven. Have we learned nothing from scripture? Jesus speaking in the book of Luke talks again of being outside of the kingdom. First of all He says, make every effort to enter through the narrow door because many trying will not be able. Jesus calls those outside of the kingdom evil doers. Jesus also declares He does not know them who didn’t make it through the narrow door. Does this sound like those who missed the greatest party of the millennia as Tony Evans proclaims are saved? “Make every effort to enter through the narrow door, because many, I tell you, will try to enter and will not be able to. Once the owner of the house gets up and closes the door, you will stand outside knocking and pleading, ‘Sir, open the door for us.’ “But he will answer, ‘I don’t know you or where you come from.’ “Then you will say, ‘We ate and drank with you, and you taught in our streets.’ “But he will reply, ‘I don’t know you or where you come from. Away from me, all you evildoers!’ “There will be weeping there, and gnashing of teeth, when you see Abraham, Isaac and Jacob and all the prophets in the kingdom of God, but you yourselves thrown out. So let us comfort ourselves with our doctrines that speak peace and safety to us. Let us encourage each other that we are saved at conversion and once we are saved we are always saved. Lull yourselves to sleep and rest in the comfort of your false teachers and possibly find yourselves knocking on the door that will forever shut to many who are on the narrow path. Or be like those who without great volumes of commentary and Greek Lexicons can see the simple message of God in His word. Why is it the wise and learned miss the simplest teachings of scripture? Calvin, this is supposed to be good doctrine? Paul in his letter to Timothy speaks of the gospel that he proclaims and how he suffers for proclaiming this gospel. He speaks of his suffering and how he is even chained like a criminal. Of course this is no surprise to us for Paul speaks in other places of his beating, shipwrecks and even being stoned and dragged out of the city for dead. We in Christendom assume Paul suffered this so the believers in his day (what we would call the elect) could come to a saving knowledge of Jesus Christ and be saved. Paul in his letter to Timothy demonstrates something just the opposite. He says he suffers all of this so the elect (the believers in his day) too may obtain salvation. To this a good Calvinist would say, of course, it is evidence of the salvation future. For a good Calvinist agrees with the Past Salvation (predestination), the now salvation (believing in Jesus Christ), and the future salvation, which this scripture is speaking of. So they cover all of their bases. That would be great if this were baseball, but it is not. Another doctrine of Calvin is one can not loose their salvation because they have it past, present and future. To a Calvinist loosing ones salvation is impossible. They say our lives do not alter the fact of the work of Christ or his calling on our lives. Funny though, Paul has a hope the elect will too receive salvation and after he says this in his letter he continues. Speaking of those whom he too hopes will obtain salvation, he says they can endure and reign or disown Christ and He will disown them. Kinda smacks of other statements doesn’t it? The Calvinist mistakenly assumes that even in our faithlessness Christ will remain faithful. They assume they are the body of Christ and Christ can not disown Himself, therefore they are eternally secure. This they would say is good doctrine, which is completely the opposite of what Paul wrote just before this. So what is it? Is it good Calvinistic doctrine and Paul teaches we can not be disowned even if we are faithless? Or is it, we will be disowned by Christ if we disown Him, which is not a Calvinistic doctrine. The Gospel According to the Gospel teaches there is no conflict in Paul’s statements to believers. If we disown Christ we will be disowned by Him. If we are faithless He will remain faithful. Christ will not disown Himself if we are faithless. He being the very word of God will not go back on His word. He will not say to us like Santa Clause, “Well, I guess you all have been pretty good,” as if God were to grade on a curve. No, The Gospel According to the Gospel agrees with scripture. If we are faithless He will not disown Himself and He will do exactly what He said He will do. He will disown us. Just as He was faithful to Israel to bring the curses for their disobedience just as He said He would. So while we may yet please the Lord, let us lay hold of the gospel of scripture and teach men they too can obtain salvation. But now he has reconciled you by Christ’s physical body through death to present you holy in his sight, without blemish and free from accusation–if you continue in your faith, established and firm, not moved from the hope held out in the gospel. This is the gospel that you heard and that has been proclaimed to every creature under heaven, and of which I, Paul, have become a servant. That there is no past salvation or present salvation, except being freed from being slaves to sin, that is, being saved from sin. But we do have a hope of a future salvation. Let us not disown Christ and be disowned. Let us not disown His gospel and preach the doctrine of Calvin which teaches men they are saved, and further teaches Jesus will disown Himself and not do as He says, and also disown Paul who wrote we too may obtain salvation if we do not disown Him. James, you are way to extreme! Scripture teaches that Abraham was considered righteous before God because he offered his son on the altar. Because of Abraham’s faith and obedience (applied action) to God, God counted Abraham as His friend. Even a harlot was considered righteous for her actions based on what she saw God doing in her midst. She acted by faith by hiding spies and risking her life, because she new God was with the people of Moses. I am not so clever to come up with this on my own. James in his epistle taught that Abraham was considered righteous by his actions and even the prostitute was considered righteous by her actions. It was their faith in God and their actions combined together that produced the fruit of righteousness in their lives. James advocates their faith without the actions accompanying the faith was dead. Consequently our faith without accompanying actions are dead. You foolish man, do you want evidence that faith without deeds is useless? Was not our ancestor Abraham considered righteous for what he did when he offered his son Isaac on the altar? You see that his faith and his actions were working together, and his faith was made complete by what he did. And the scripture was fulfilled that says, “Abraham believed God, and it was credited to him as righteousness,” and he was called God’s friend. You see that a person is justified by what he does and not by faith alone. In the same way, was not even Rahab the prostitute considered righteous for what she did when she gave lodging to the spies and sent them off in a different direction? As the body without the spirit is dead, so faith without deeds is dead. So what are the implications for us today? We as believers in Christ start with the assumption we have faith in Christ. We affirm to ourselves this faith in the work of Christ on the cross produces righteousness in our lives. At the point of putting our faith in Christ we declare ourselves the chosen, predestined, call, sanctified, justified and saved children of God. It is even taught that we have no fear of hell because we trust in God for salvation. We brag we have an irrevocable salvation. Tony Evens in his book Totally Saved advocates that proof of salvation by good works is an extreme teaching. I wonder how James would have responded to Tony Evans book? James clearly states that faith without deeds is dead. Wouldn’t dead faith about be as useful to a person as no faith? Isn’t no faith, a dead faith? Tony Evens is in error twice. Once for teaching it is incorrect to say good works (deeds) as the proof of salvation is an extreme teaching. Secondly he misunderstands that there is proof of salvation. Instead, there is the proof of a faith that can save, not salvation itself. When we see good works (deeds) in a believer’s life we see evidence of a faith that can save. I advocate in my book The Gospel According to the Gospel we have a promise of salvation. I further advocate we have a role to play in our salvation, which really gets the ire of some people, mainly the Calvinist. They utterly reject the notion that we have any role in our salvation, they prefer the term responsibilities. Our role is to believe and put this belief into actions. If we say we believe only, without good works (deeds), and at the same time say we are saved it sounds more in line with the demonic belief. If we say our salvation (which is really our hope of salvation) is fixed apart from good works, what more do we have to brag on than demons? You believe that there is one God. Good! Even the demons believe that–and shudder. You foolish man, do you want evidence that faith without deeds is useless ? James clearly teaches us we can have faith in God all we want, but faith without our actions is dead. We have nothing over the demonic realm. To teach men that it is an extreme teaching to look for works in a believer’s life for evidence of salvation (hope of salvation), teaches men to have the faith of a demon. What good does it do a man to have belief in God that produces no more works in their lives than a demon? God, your doctrine is irrelevant! The doctrine of Calvinism teaches we are foreknown by God and subsequently called by God. They teach that we have no free will in the matter. They teach, there are those who are predestined to be saved and there is nothing those people can do about it, They also teach, there are those who are predestined to be objects of God’s wrath and there is nothing they can do about it. In their doctrines, they take great comfort they have the true understanding of scripture, they are the ones leading the blind. If they truly do, I say great! Let’s all be Calvinist. That is if God is one first. But Calvinist say, Those, not predestined to damnation, shall confess that Jesus is the Son of God, God dwelleth in him, and he in God. But Calvinist say, those, not predestined to damnation, believeth that Jesus is the Christ is born of God: and every one that loveth him that begat loveth him also that is begotten of him. But Calvinist say, But those, who are not predestined to damnation, drinketh of the water that I shall give him shall never thirst; but the water that I shall give him shall be in him a well of water springing up into everlasting life. But Calvinist say, For God so loved the world, that he gave his only begotten Son, that only those, not predestined to damnation, believeth in him should not perish, but have everlasting life. But Calvinist say, To him give all the prophets witness, that through his name only those, not predestined to damnation, believeth in him shall receive remission of sins. But Calvinist say, And as Moses lifted up the serpent in the wilderness, even so must the Son of man be lifted up: That those, not predestined to damnation, believeth in him should not perish, but have eternal life. But Calvinist say, And the Spirit and the bride say, Come. And let him that heareth say, Come. And let him that is athirst come. And those, not predestined to damnation, let him take the water of life freely. So what is it? Does God need to get with the program and change His doctrine? Or, do the Calvinist need to get with the program and change their doctrine? If I were to take a guess, not being a gambling man mind you. I would guess, it is the Calvinist who have not followed the gospel according to scripture. They are the ones who have not followed The Gospel According to the Gospel. Excellent question Jesus. Well Calvinist, do you believe this? 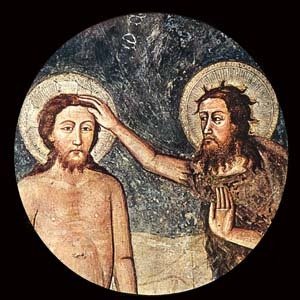 What would John the Baptist say today? Those in the Calvinist camp are very adamant about their election and calling. To them their knowledge of God’s predestination is an immovable foundation to their assurance that they are saved and this is completely based upon God’s sovereign will. The strict Calvinist hold to the understanding that they have absolutely nothing to do with their salvation, that there is no free will involved. So what would John the Baptist come and preach to us today who have be called, who have been elected by God, who God foreknew? What would John the Baptist preach to us today, who say we are secure in our predestination, calling and election? I know a group of people who like us have the promise of adoption as sons. I know a group of people who like us have the divine glory. I know a group of people like us who have the covenants, old and new. I know a group of people like us who worship God. I know a group of people like us who had the promises of God and unlike us could brag the linage of Christ. For I could wish that I myself were cursed and cut off from Christ for the sake of my brothers, those of my own race, the people of Israel. Theirs is the adoption as sons; theirs the divine glory, the covenants, the receiving of the law, the temple worship and the promises. Theirs are the patriarchs, and from them is traced the human ancestry of Christ, who is God over all, forever praised! Amen. I know a group of people who like us took for granted their calling and election. I know a group of people like us who thought their place in God’s calling, His promises to them, their adoption of sons, and their linage made it impossible for them to be separated from God. So what would John the Baptist in the spirit of Elijah say to us today who put our confidence in our calling and election? You brood of vipers! Who warned you to flee from the coming wrath? Produce fruit in accordance with your repentance. And do not think you can say to yourselves, “We are guaranteed our position by predestined and election.” I tell you that out of these stones God can raise up those predestined by election. The ax is already at the root of the trees, and every tree that does not produce good fruit will be cut down and thrown into the fire. The Scribes and Pharisees took for granted their position and calling by God and felt eternally secure. We have nothing over the people of Israel when it comes to our election and calling. We too have to produce fruit in order to have a hope of salvation. God foreknowing us, His calling and His election of is no guarantee of eternal security. Nor does it take away our free will. It didn’t take away the free will of those in John’s day and it doesn’t take away the free of us today. In my advocating of the gospel, I have been defending the position that we have a hope of salvation. I have been told by others that we hope for nothing because we are predestined, called and elected and therefore saved, and this without any freewill on our part. I have advocated in my book The Gospel According to the Gospel we have freewill and a valid part to play in our hope of salvation. That we are not saved and our freewill decisions will impact our receiving our promise of salvation. Is this anything different than what we see John saying to those of his day that were the called election? No it is not. By your freewill produce fruit in keeping with your repentance. The Scribes and Pharisees blew it bad with their own version of Calvin. Do we really what to follow in their footsteps? Are we greater than Abraham? Paul speaking of our father Abraham said he was imputed (credited) righteousness because he did not doubt the promises of God for him and his descendents. Paul in teaching the doctrine of salvation says the record of Abraham being credited righteousness from God wasn’t for just him, but for us too. Why, because we, as followers of Christ will be credited the same righteousness. Paul’s doctrine of salvation states, we who hope in Christ have also been imputed the same righteousness as our father Abraham. Abraham and his descendents were credited a righteous not their own. The sign of the righteousness that God gave them was circumcision. Paul’s doctrine of salvation teaches that Abraham is the father of all that believe. This includes believers today. He is the father of all circumcised and uncircumcised believers. Paul’s doctrine of salvation teaches, those whose walk is the same faith of Abraham have been imputed this same righteousness as the people of Israel. And he received the sign of circumcision, a seal of the righteousness of the faith which he had yet being uncircumcised: that he might be the father of all them that believe, though they be not circumcised; that righteousness might be imputed unto them also: And the father of circumcision to them who are not of the circumcision only, but who also walk in the steps of that faith of our father Abraham, which he had being yet uncircumcised. Our father Abraham had imputed righteousness, and we too, as followers of the faith of Abraham, have the same righteousness imputed to us. We have nothing over our father Abraham. I have been advocating scripture teaches believers in Christ have a hope of salvation. That we have not been saved at conversion, but will receive salvation when our salvation (Christ) returns. That we have a promise of salvation and we need to hope in our promises just as our father Abraham. The church teaches we have been saved and when we receive our salvation we are imputed righteousness. Paul taught just the opposite. He taught, just as our father Abraham was imputed righteousness, so we are imputed righteousness. And what was his situation when he was imputed this righteousness? Was it before Christ paid for his sins or after? It wasn’t after but before Christ died for his sins. Let’s say about 2,000 years before Christ paid for his sins. How is it that Abraham is credit righteousness before salvation, but church doctrine teaches ours is after salvation? If Abraham is our father and we are to walk in the same footsteps of faith as Abraham, how can we claim to have the same faith as his, when we say we have received the promise of salvation? And what was the circumstance of Abraham’s faith when he was credited this righteousness, was it before the promise was fulfilled or after? It wasn’t after but before the promise was fulfilled. Yet we say we are credited righteousness after the promise was fulfilled. How can we walk in the same footsteps of faith as Abraham, when his was based on a promise and we say ours is based on fact. So what do we see in Paul’s doctrine of salvation? We see Abraham as our example who, before sin was atoned for, was credited a righteousness as our example and father in the faith. We see Abraham as an example who, before the promise was fulfilled, believed in the promise and received the benefit of his belief in the promise. So my presentation of salvation in The Gospel According to the Gospel is not contradictory to Paul’s doctrine of salvation, it is Paul’s doctrine of salvation. It is the church that has missed the doctrine of salvation that Paul taught in the book of Romans. How can the church insist on preaching we have our righteousness imputed to us because we have received the promise, we have been saved? Are we greater than our father Abraham? What did king David have to brag about? How is it that David can say, “restore unto me the joy of thy salvation?” What would he know of it? What in the world is going on here? Purge me with hyssop, and I shall be clean: wash me, and I shall be whiter than snow. Make me to hear joy and gladness; that the bones which thou hast broken may rejoice. Hide thy face from my sins, and blot out all mine iniquities. Create in me a clean heart, O God; and renew a right spirit within me. Cast me not away from thy presence; and take not thy holy spirit from me. Restore unto me the joy of thy salvation; and uphold me with thy free spirit. Now for us Pentecostal types, he even wanted to keep the presence of the Holy Spirit in his life. Now if I didn’t know better, if I had never read or heard of this prayer, I would conclude that it was the prayer of a New Testament believer. But it isn’t. We have assumed as New Testament believers, we have access to those things the people of Israel in our Old Testament scriptures never had access to. But apparently not. David after his sin wanted the joy of the salvation of the Lord back in his life. But maybe I stretch it a little bit, huh. I am looking for something that is not there, right. David meant something else when he prayed to God. How could he ever let his heart rejoice in the Lord’s salvation when he never had it, right? I have been advocating scripture teaches we have a hope of salvation and that it will be given to us when Christ returns. A Calvinist has repeatedly asked me what would the benefit for a believer if he hasn’t been saved. He assumes that there is no benefit to having a hope of salvation. But what does scripture teach us? But to him that worketh not, but believeth on him that justifieth the ungodly, his faith is counted for righteousness. Even as David also describeth the blessedness of the man, unto whom God imputeth righteousness without works, Saying, Blessed are they whose iniquities are forgiven, and whose sins are covered. Blessed is the man to whom the Lord will not impute sin. If anyone had a hope of salvation it would be David and yet he has the benefit of his hope of salvation. He is a 1,000 years before the sacrifice of Christ. Paul attributes to David the same knowledge of salvation that we share in the book of Romans. Paul wants his readers to understand their salvation and the imputing of grace, and he uses David as his example. So do we now separate the joy David had about the Lord’s salvation, from the reason the joy would come, the grace given. Did David have a joy of his salvation without having his sins forgiven? Did David have his joy without the Lord declaring him guiltless? How many of us quote psalms 51 when we are faced with our sins, and look to it for hope as we pray and sing this psalm. When we do this, do we splice and dice the meaning of the hope of salvation? Certainly not! David had a hope of salvation and enjoyed it as much and found comfort in it as much as we do. He knew what it was to have his sins blotted out as much as we do. As I advocate in my book The Gospel According to the Gospel our hope in salvation is no more and no less that what the saints of the Old Testament hoped for. David didn’t ask of the Lord, restore the joy of my salvation, he asked for the joy of thy salvation. He understood his salvation was in the Lord. This too is what the New Testament writers teach. This is why we have to wait for the Lord to return to bring us our salvation. He is our salvation and we wait for His return. Whose gospel do you follow?